as in source of creativity, source code, and the source of fresh water running to its predetermined destination. We are a creative agency, specializing in digital communication. We add business values to our customers by choosing, producing and implementing the right solutions. We are a true Interacive Lab working together with universities, artists, specialists to explore new possibilities in digital communications. We believe that knowledge is something that needs to be nurtured. Specifying vision and goals in order to maximize benefits of digital initiatives. Graphic design, interaction design and system design. Standard products and custom built applications. Our people is our greatest resource. We gather creative people who are specialists within their field of work to arrive at innovative solutions. To do this there is a lot of options: we can work inside your organization, together with you as a team, or we can bring in the specialists needed and build a team within our crew. – Animator par excellence. Spends a lot of time studying physics and formulating utopias. Gleerups IAB is a social and interactive publishing platform for educational purposes. It provides tools to transform traditional books, from plain text into fully interactive, media-enriched experiences. IAB is also a community where students, teachers and authors share, comment and creates personalized content to existing books. 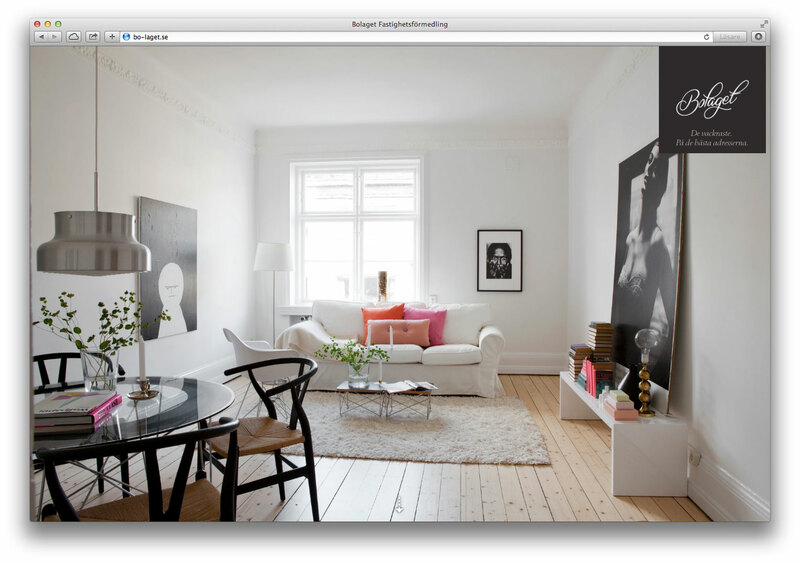 Bolaget.se gives exclusive apartments the setting they deserve. By creating a unique tool for estate agents we facilitated the daily workload and opened possibilities for our client to stand out on the market. with passion for responsive web solutions. Malmö Folkets Park (People's park of Malmö) is one of many examples of web solutions provided by us here at Fuente. Using the most current techniques in WordPress we have created a responsive layout and an easy-to-manage way for our client to post news and update the information contained in their site. We like to think that a career here is pleasurable and creative. And remember: we do not only hire people, we develop them into fully matured designers and developers. Since Fuente is an expanding bureau, we are always on the lookout for new, raw talents. What we search for is adaptable and creative designerselopers. There is no need for a formal education, but we do consider it an advantage. We are a creative agency. You will be working on different projects of different sizes and complexity. We enjoy the blending of technique with creativity and art. Since we're a team we expect you to contribute to the creativity and the atmosphere. If you are interested in joining our team please mail us at join@fuente.se. Make sure the mail includes your full CV with the necessary work samples, and tell us what your skills are and how you think you can contribute.